Robertson Homes and Fife Council have worked together for more than a decade and I'm sure this latest milestone will provide the bespoke commercial office space they hope to create. Its important when developing commercial office space that enough attention is paid to what type of luminaries you plan to use for each area, and unfortunately this can be over looked or left last on a project. That's why its imperative to work with experts like Phi from the start to ensure you not only keep within your budget but you are provided with hands on expert advice. I can't wait to see the finished project. Work has started on a £1.5 million project to convert a former school residential lodge into a major business hub in the heart of St Andrews. 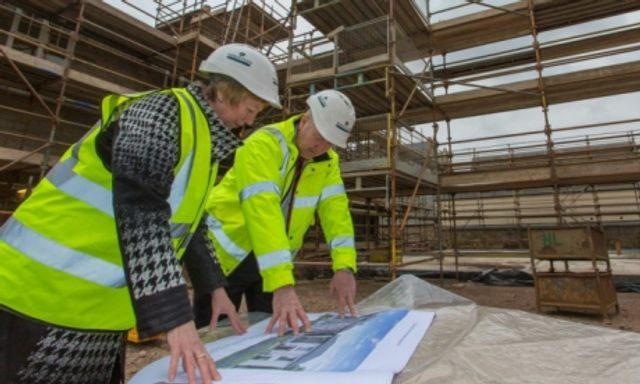 A turf-cutting ceremony with Fife Council’s deputy leader, Councillor Lesley Laird, and representatives from housebuilder Robertson Homes officially marked the start of construction on the new base at St Leonard’s Lodge.